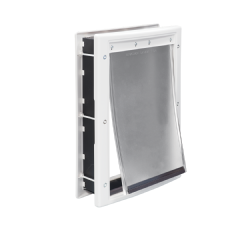 The Premier Pet™ Locking Pet Door gives your pet the freedom to come and go, while still allowing you to control access with multiple locking options. The door can be set to let your dog or cat in only, out only, both in and out, or locked completely by turning the knobs on both sides of the flap. 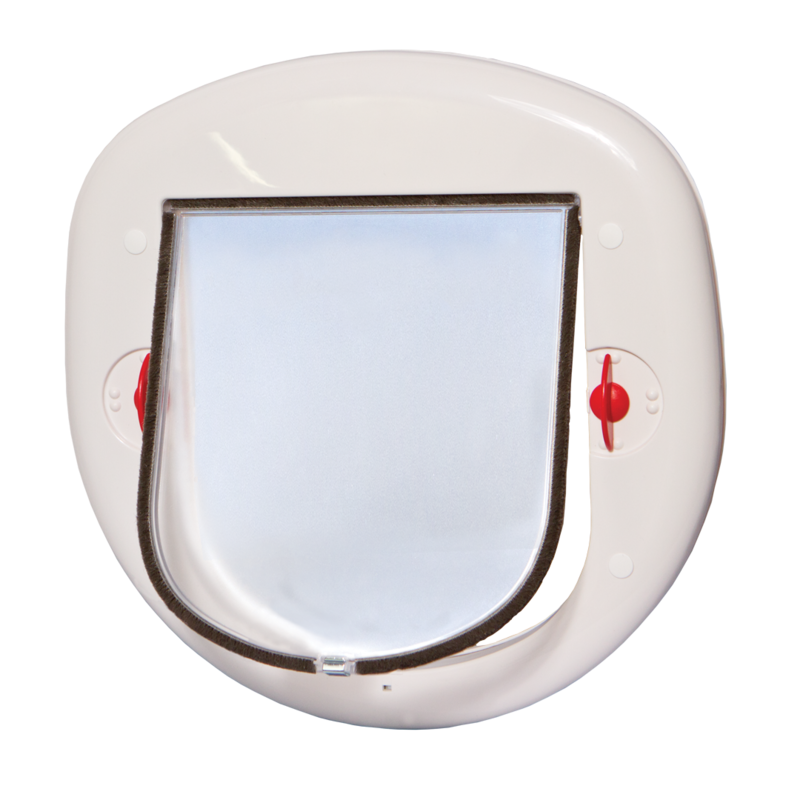 When unlocked, your pet will easily push open the clear, hard flap that will swing back into place as he/she exits. 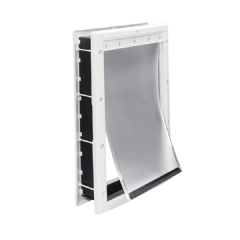 This, combined with weather stripping around the flap opening, helps keep the outside heat and cold out of your house, providing higher energy efficiency. This simple DIY project will provide freedom your pet will love. Best for pets 1-25 lb. with a flap opening size of 7 1/8 in. by 7 1/4 in.